The Miles Morland Foundation has just announced the shortlist for the 2015 Morland Writing Scholarships. These applicants will be whittled down to four on December 14th by the judges Ellah Allfrey who is chair, Olufemi Terry and Muthoni Garland and announced shortly after. The list features a healthy list of twenty one applicants with seven from South Africa, six from Nigeria, three from Ghana, two from Uganda, and one each from Zimbabwe, Egypt and Sudan. We have already featured some of these individuals here on JamesMurua.com. Mary Ononokpono for instance was the Early Chapter Book winner in the Golden Baobab Award last year while Kagiso Lesego Molope won the Percy FitzPatrick Prize for Youth Literature. Beatrice Lamwaka the Caine prize 2011 shortlister has featured her work in Johannesburg as well as being one of the facilitators of the Uganda International Writers Conference 2015. Noo Saro-Wiwa had her travel book Looking for Transwonderland: Travels in Nigeria translated into Italian recently. The person most mentioned in this blog is Jennifer Nansubuga Makumbi who has been winning prizes mercilessly in the last few years including the Kwani Manuscript Prize that gave us that beautiful book Kintu. 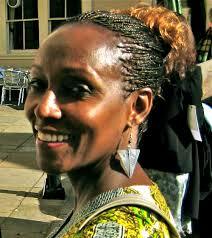 She also won the African regional and global Commonwealth Prize in 2013. Her only non win was when she made the longlist for the Etisalat Prize last year. While she failed to make that Etisalat shortlist, South African Karen Jennings who is also on the shortlist made the cut only to be pipped by all winning Noviolet Bulawayo.